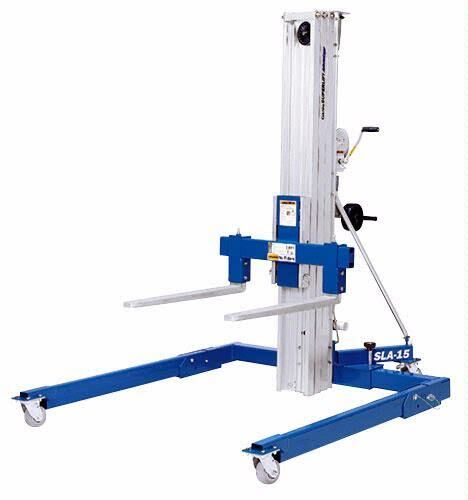 This Superlift can straddle a pallet and has flat forklift type forks to handle lifting pallets. It has a 1000 lb capacity and will lift up to 10'. Great for situations where a power forklift won't work. * Please call us for any questions on our 10 foot superlift for pallets rentals in Calgary, Alberta.